Bob Hawk is the Director of Sales at WiSys. Bob was one of early resellers working with Macola Software in 1984. Bob joined the Macola management team in 1986 and served as VP of Sales through 1994. Bob focused on growing the Macola customer community through a network of Business Partners, which grew to more than 800 by 1994. During his tenure Bob opened 6 regional territories plus the international division establishing business partners in 8 countries. Bob spearheaded the Customer Relationship Management (CRM) strategy at Macola Inc. by using the rich data in Macola Software to provide new information about customers and trends creating new marketing opportunities. 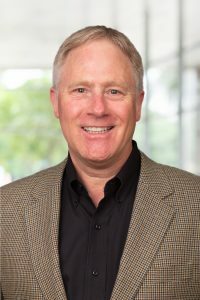 Prior to WiSys, Bob was a partner in Algorithm Inc. and served as VP of Sales. Algorithm Inc. was a startup in 1995 and grew to become the #1 Macola Software partner by 2000. Algorithm Inc. continues as a top business partner for Macola Software serving over 8 Midwestern states with more than 300 customers. While at Algorithm, Bob introduced GoldRush Software, a CRM application for GoldMine Software and Macola Software. GoldRush reached over 300 customer’s world wide. Bob also opened Algorithm’s Automotive EDI Solution, TierLink, providing seamless integration for tier 2 and 3 automotive suppliers. Bob graduated from Kent State University with a BA in Business Administration and Marketing.